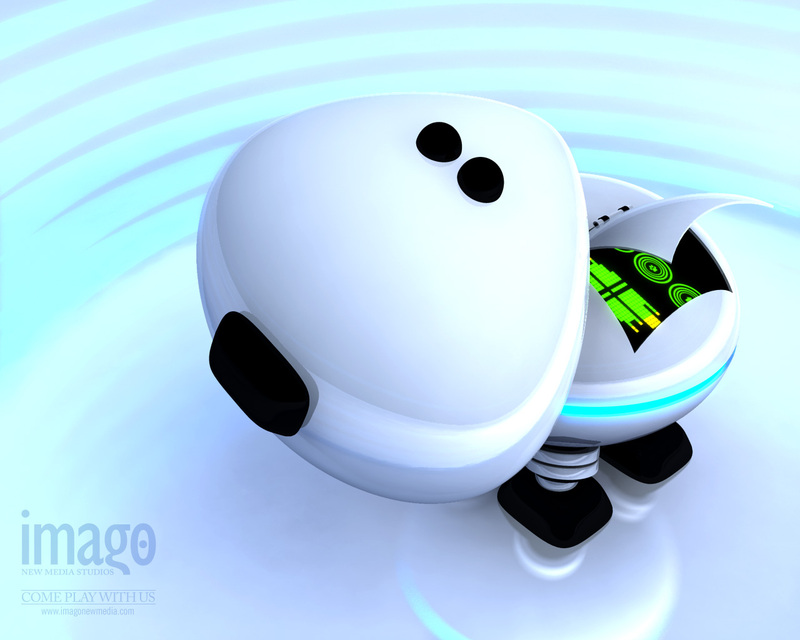 Around two weeks ago I posted Blast from the Past: Imago Zoo – a series of wallpapers created for imago back around 2004. 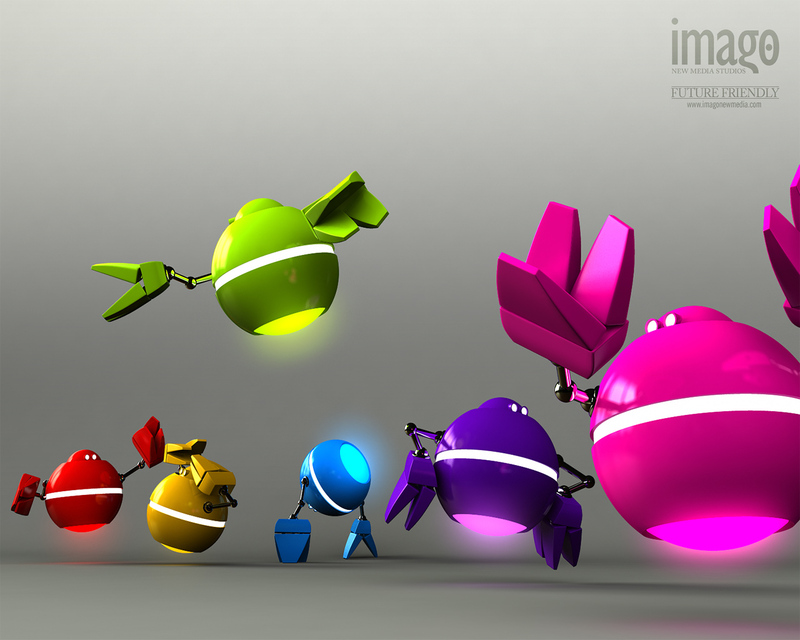 Today I am happy to show you three more renders from the imago promo series entitled Future Friendly. 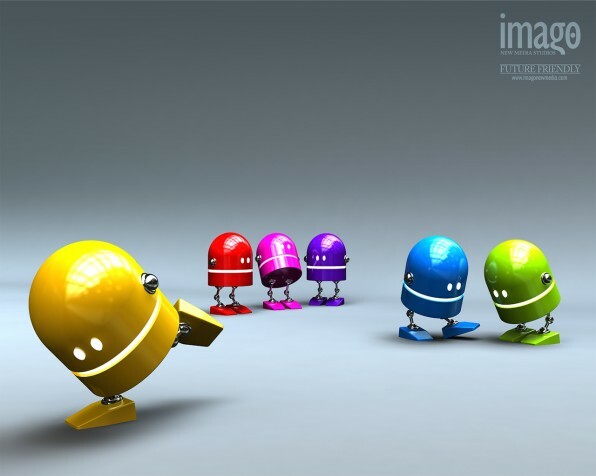 They are slightly newer (2005 or 06 I believe) and feature cute, shiny robots I designed in Maya.